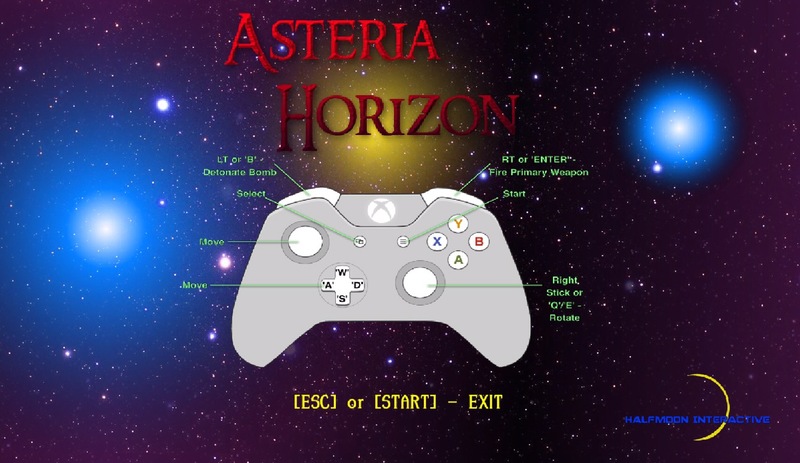 Controller support has been added to the playable demo of Asteria Horizon. In testing, I found that Google Chrome best supports the use of a controller. I’ve posted the controls below and they can also be found on the View Controls screen in the game. As always I welcome any and all feed back on this and all updates!